Don’t feel like soaking beans overnight, then cooking, and re-frying? 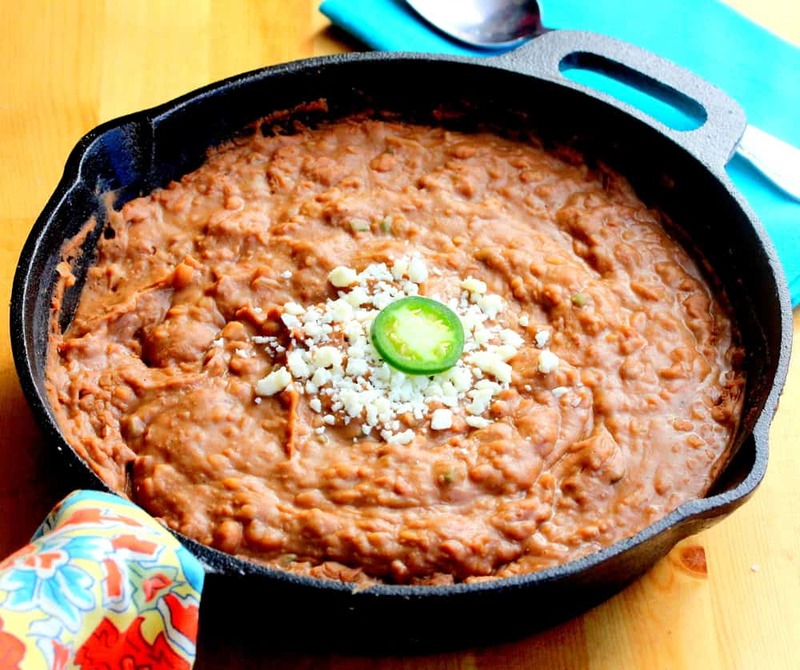 Well, here’s a super easy solution: Easy Gourmet Refried Beans! And trust me, both the Loon and I think these are about as good as you’ll get in any restaurant. Yum! 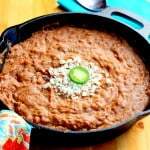 These Easy Gourmet Refried Beans take a short cut, but the end result, is through the roof flavor. So easy, and so good!! Heat a large skillet (or Dutch oven) over medium-high heat, and add the bacon and cook, stirring frequently, until crisp and golden, about 6 minutes. Using a slotted spoon, transfer the bacon to paper towels, leaving the rendered bacon fat in the pan. 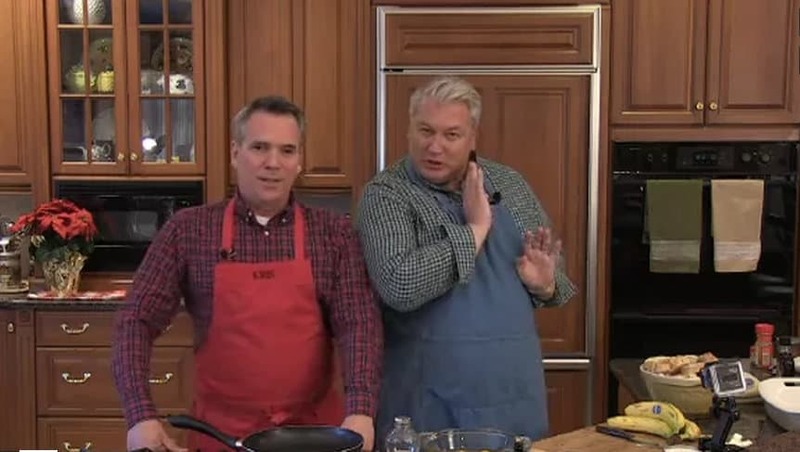 Add the onion, jalapeno, and garlic to the rendered grease in the pan and reduce the heat to medium. Cook, stirring occasionally, until the veggies are softened, about 5 minutes. Add the beans to the skillet. Mix completely. Add the stock. Mix completely. Cook for about 15 minutes, or until slightly thickened. Season with salt (a couple pinches). Serve at once.